The NSAC has made public decrees that if Chael Sonnen decides to fight at Metamoris 4 that he might end up being fined the whole $250,000 that they had originally threatened him with. If this will happen if he participates? Who really knows. But apparently there is a plan B just in case Chael Sonnen can’t fight at Metamoris 4, that plan B is Randy Couture. 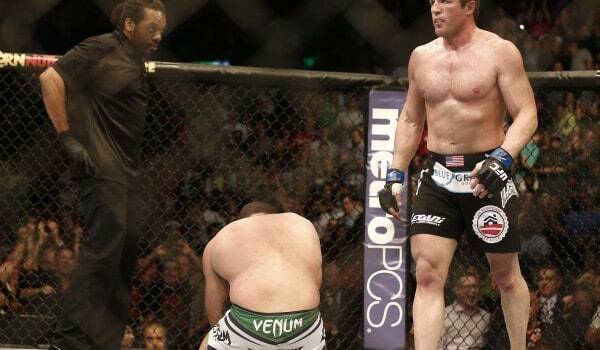 Sonnen update: He has not withdrawn from Metamoris, but Randy Couture has been contacted as a potential replacement. It’s still not clear what will happen, but if Chael Sonnen has to pull out of Metamoris 4 it’ll be a huge disappointment for fans everywhere, especially considering that BJJ competition isn’t regulated the same that other professional sports are.